Corruption and possible bankruptcy facing the National LULAC, according to Morin, a candidate for National President 2018. LULAC In Crisis exposed by Darryl Morin, who is currently a candidate for National LULAC President in 2018. 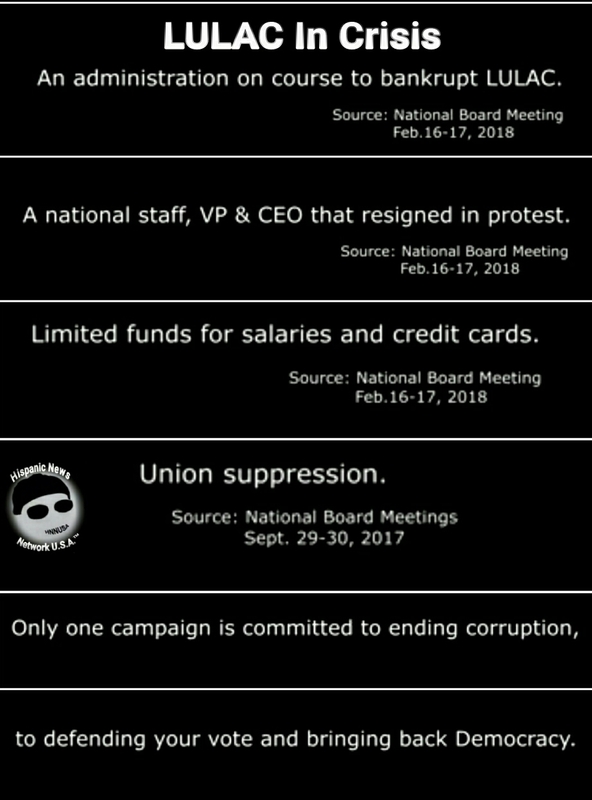 Morin is a former League of United Latin American Citizens (LULAC) Vice-president of the Midwest and on Sunday released a video on Facebook (FB) alleging corruption at the national level organization and a lack of funding for staff salaries and etc. Morin in the video indicated his commitment to transparency, eliminating corruption in the National LULAC level, defending the vote of LULAC members and bringing Democracy back to LULAC!